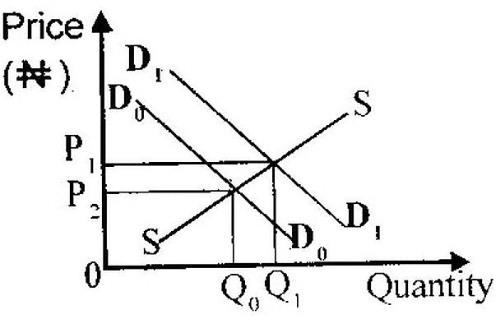 My name is David and I'll be available for the next hour or so to help answer any questions you may have about your economics preparation. I am the author of the econs lessons on the Jambite app. As your question as a comment and I'll try to answer as many people as possible. 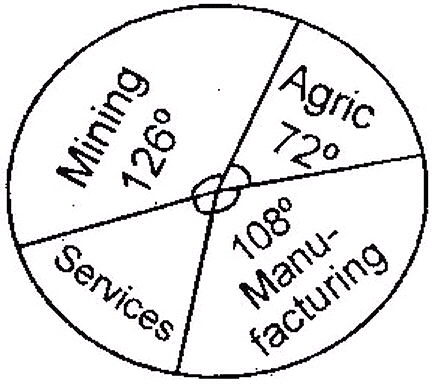 @stanley We know that a circle is 360 degrees so mining + agric + manufacturing + services = 360. Therefore services is 54 . Beyond that we dont know more. can you give me more details about what the question is asking? BTW. If you keep the app on the current page it will continue to load the new comments for you without you having to hit the refresh icon. @oyelade . What is the question?